Tucepi is, with its 1763 inhabitants, a small tourist destination in the southern part of middle Dalmatia. 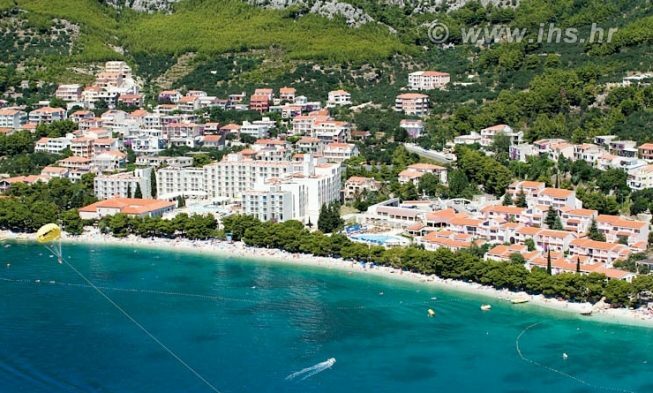 The landmark of this small, but beautiful city is one of the longest beaches in whole Croatia, the 3 km long pebbly beach. The tourism developed already in the 1960s when houses were built in the little village called Kraj. Since then, most inhabitants of Tucepi make their living from tourism which became the main income source of the city. The first mention in written formof the city Tucepi dates back to theyear 1434 in the Kreševo Charter. The city was very early inhabited, already in the Roman times. According to a preserved old Illyrian document in Albanian language the word Tucepi means“village by the spring”. The most impressive thing that Tucepi has to offer is definitely its beautiful beach. The beautiful pebbly beach is 3 km long; one could say that the whole little city is a beautiful long beach. Right above the beach, there isa promenade with a beautiful avenue of pine trees which offer shade in the hot summer days. 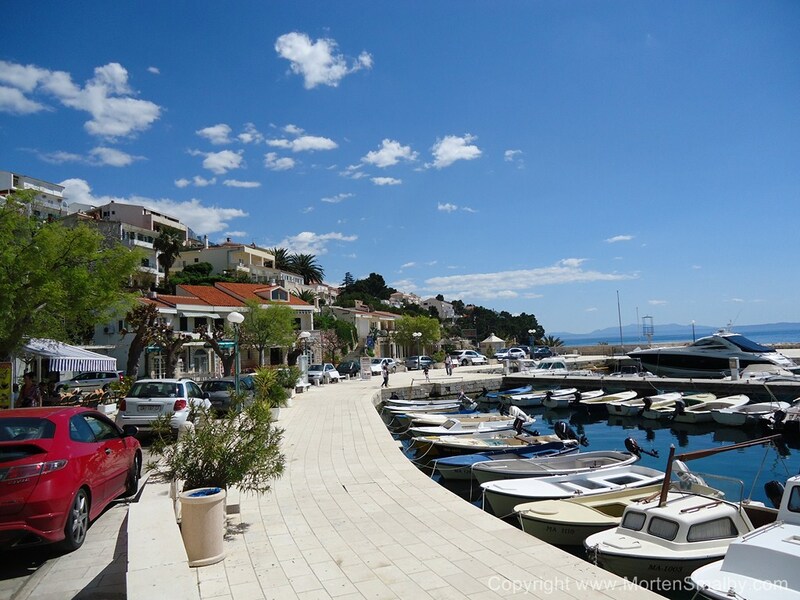 The promenade goes to the neighbouring town Podgora, so you can take a walk along the sea to Podgora and check out the beautiful beaches there. Besides the beautiful,crystal-clear seaon the beach in Tucepi you can also find sun chairs for rent. 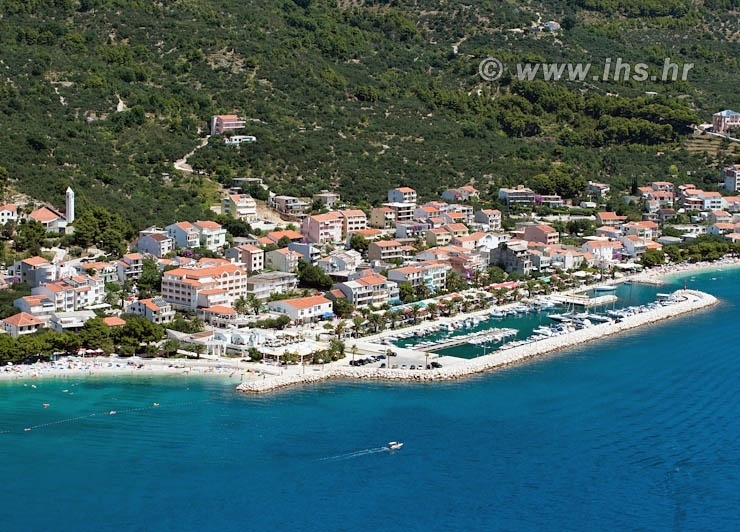 There is alsoa nudist beach between Tucepi and Makarska. The beach is called Nugal, and you can reach it by foot through a pine forest and the beautiful preserved nature. The beach is surrounded by high cliffs and is considered a very romantic beach. In Tucepi there are various types of private accommodation and also quite a few hotels for such a small city which shows perfectly how important the tourism is for the inhabitants of Tucepi. You can choose between a great number ofprivate accommodation in Tucepi, there is a big offer of apartments and holiday villasthat can be rented, but there is also a big offer of rooms in private houses which is the ideal solution if you are not staying long in Tucepi or if you are only passing by. In Tucepi you can actually find quite a few hotels, one of the most popular is the four-star hotel Alga which is located only10 m from the beachin Tucepi. This hotel with 330 bedrooms offers absolutely everything you can wish forduring your holiday; an indoor and an outdoor pool, 3 restaurants, wellness and spa, WiFi, a parking space and much more. Another popular hotel is the three-star-all-inclusive hotel Neptun. The guests of this hotel can enjoy the vacation without thinking about extra costs of the hotel and the list of the offer: besides the usual three meals and Croatian drinks some of the offered things are: sun chairs and sunshades at the pool, an outdoor pool for adults and one for children, a whirlpool, a dance class, aqua gym,day care and animation for childrenand much more. In Tucepi there are no campsites, but if you are looking for a relaxing vacation in the nature, there are a few campsites close to Tucepi. When you are in Tucepi you should visit the Church of St. George which was raised in 1311 and it has been preserved till now as a one-nave Romanesque and Gothic building with a semicircular apse with painted crosses in the interior. 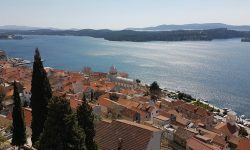 Another interesting church which you can visit is the Church of St John which was built in 1703 as a nave building with all the features of the Dalmatian provincial baroque. The towers in Gornji Tucepi(upper Tucepi) were built to protect the city from the Turks and they offer a beautiful view of the sea and the surrounding area. If you are interested in an active holiday you can also join a daytrip to the Cetina River, where you can enjoy the beautiful nature duringa rafting trip. In Tucepi you can find many restaurants and taverns(locally called konoba) where you can find excellent food, especially if you are looking for typical Dalmatian dishes with loads offresh fish and seafood. While your stay in Tucepi you should at least once visit a konoba, they usually have great food which is served in a typical Dalmatian ambient. Some of the popular konobas are the konoba Ranchand the konoba Postup. Another very popular place is the Bistro Tenor which offers excellent food and with its very friendly staff you will enjoy your meal even more. For your everyday groceries you can find shops like Konzum or Studenac, or other smaller shops where you can find all the things for you everyday life. If you need to buy something bigger or you just want to go shopping, we recommend going to bigger cities like Makarska or even Split. There are no nightclubs or discotheques in Tucepi, but you can find a few bars and beach barswhere you can spend your evening and enjoy a drink. During the summer months there are always many events which you can join, like the evenings with klapa (Dalmatian a cappella groups) music. If you are looking for parties you will have to go to Makarska or even to Split where you can find nightclubs.